On the afternoon of the 01/06/2017 the first regional User Community Requirements Workshop has been successfully accomplished. 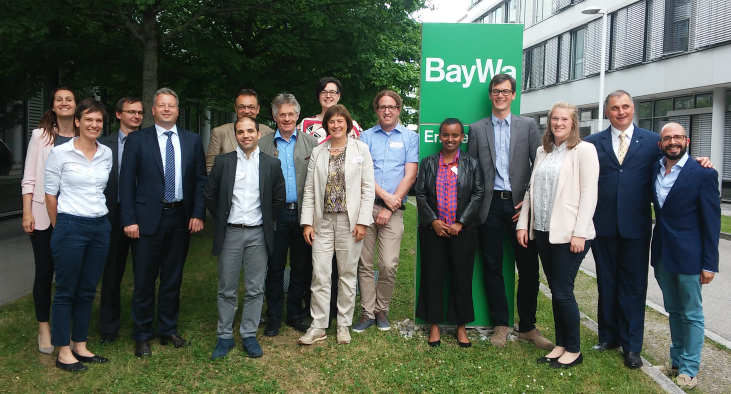 Eight German and international organizations had followed the invitation to convene at the BayWa AG headquarters in Munich, Germany to discuss the gaps and needs of enterprises, science and international organizations with regard to EO products and services for agricultural applications. The participants received a welcome by the host of the meeting Josef Thoma of BayWa AG and the ESA representative Espen Volden. Thereafter, the user workshop began with an introduction of Heike Bach, CEO of Vista GmbH, who presented the concept of the FS-TEP project and the team developing both the technical platform as well as the pilot services in Europe and Africa. The intense moderated discussion of all participants which followed, concentrated on the proposed platform functionalities and the information services of the Food Security Platform with regard to the practical needs of the participants. All in all, the workshop was very successful as many important inputs from the user community were collected. These and many more from the next workshop in Rome as well as inputs from direct user consultations by VISTA and VITO will be incorporated in the agile development process of the platform and the demonstration trials of the agricultural Service Pilots in Europe and Africa. Participants of the FS-TEP User Community Requirements Workshop in Munich, Germany conducted on 01/06/2017.